October 19, 2017 — From time to time, the entire team here at the Community Foundation loads up into a couple of cars and tours Berks County. During these trips, we visit places that are doing interesting, even amazing, work. And, of course, we make a point to visit the sites that are doing work that’s funded through grants from the Community Foundation. The visits remind all of us here that what we do is important. 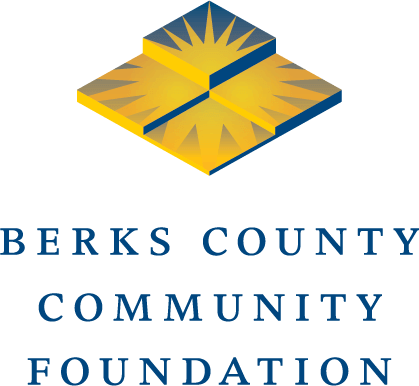 We make resources available to organizations that seize bold opportunities to improve the quality of life in Berks County. The visits are also a humbling reminder that we at the Community Foundation don’t do that work. We just fund it. The people we meet on these visits are always inspiring. Earlier this month, we visited four of our grantees’ sites. I’ll highlight three of them today, and the fourth will be highlighted next week in an additional post. That visit was simply astounding. Our first stop was The Nature Place, Berks Nature’s new nature center in Angelica Park. Berks Nature’s headquarters at The Nature Place. I’m obviously biased (my wife is the president of Berks Nature) but the building is a stunning architectural accomplishment. Built of reclaimed barn stones and clad in reclaimed mushroom board, the offices, classrooms, and meeting space of the building capitalize on amazing views of the surrounding wetland. The Nature Place is nestled in a wetland that sits right inside the city of Reading. Sightlines out of the building include a nature play area (where a couple of small children were climbing on logs), a turtle pond (I saw a turtle swimming), and a rain garden teeming with butterflies. In the spring, they’ll add a see-through beehive that will allow bees to fly between the outside air and the indoor hive without actually buzzing freely throughout the building. In addition to the recent visit by Community Foundation staff, the Community Foundation’s board, pictured here, recently held one of its regular meetings at The Nature Place. 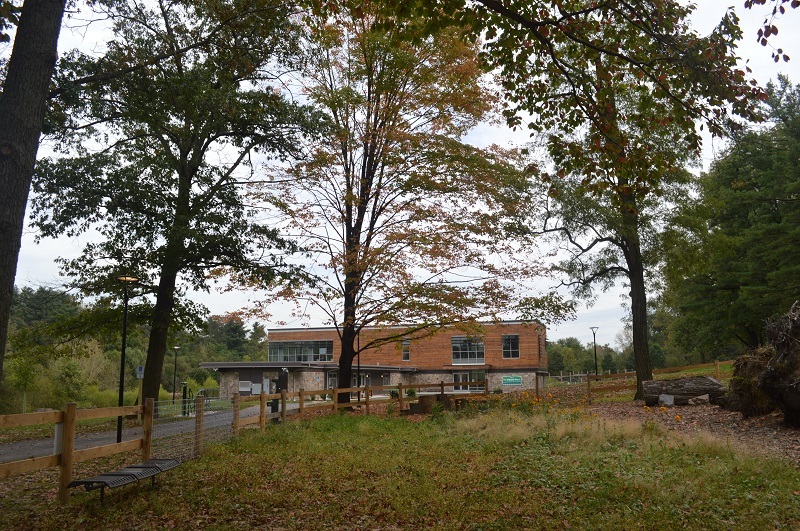 Berks Nature did a fantastic job of expressing its mission through its new facility, which does exactly what Berks Nature is supposed to do: Connect people with nature. Later in the day, we visited the relatively new headquarters and warehouse of the Greater Berks Food Bank. They moved from an older, much smaller building in Tuckerton into a modern, well-equipped warehouse in Spring Township. Community Foundation staff explore the vast warehouse of Greater Berks Food Bank. The facility more than doubled the floor space they have for receiving, sorting, and storing food. The Food Bank serves as a kind of “wholesaler,” distributing food through a network of food pantries, social service agencies, and other programs, including its own mobile delivery program. One of the most impressive programs they run is a backpack program that sends food home with children on weekends. I highlighted that program in my testimony before Congress a few years ago. Workers move food around the new warehouse facility of Greater Berks Food Bank. Defying the traditional view of nonprofits being unsophisticated, the food bank looks like any industrial warehouse with trained employees using sophisticated machinery to move, sort, and pack food. Last year, they moved more than 7.3 million pounds of food through the building and into the hands of families in need. Their building is a tribute to how a carefully-thought-through facility can improve the efficiency and effectiveness of an organization in pursuit of its mission. The final stop on our tour was Hope Rescue Mission, located in Reading in a building that was once the Reading Company YMCA. I had not been in the building for at least 20 years. I don’t remember why I visited it the first time, but I distinctly remember it as the most junk-filled building I’d ever been in. My sole recollection of that visit was of furniture and boxes piled in every imaginable space from the floor to the ceiling. For about a year, Franki Aitken, our senior vice president for finance and operations, has been bugging me to visit the mission again, so we did. What a transformation. Under the leadership of Executive Director Rob Turchi, Hope Rescue Mission has transformed itself into a comprehensive, faith-based emergency and transitional housing program. Serving about 150 men a day, the mission has recaptured the building as a hub for spiritual, medical, and social services designed to help its clients get back on their feet. Hope Rescue Mission provides more than 47,000 “bed nights” per year for homeless men in Reading. In partnership with Veterans Making a Difference, a local nonprofit serving the veteran community, Hope Rescue Mission has converted a lower level of the building into a beautiful new center for veterans. The project was funded through the Veterans Center Fund here at the Community Foundation. The new veterans center at Hope Rescue Mission is a welcoming environment. At each of these three stops, we saw how organizations are using their physical plants to better fulfill their missions and serve their communities. Another stop on this tour was a different story — and one for its own post next week.